Brothers PTM95 is small and efficient, and can print stylish labels in a matter of seconds. 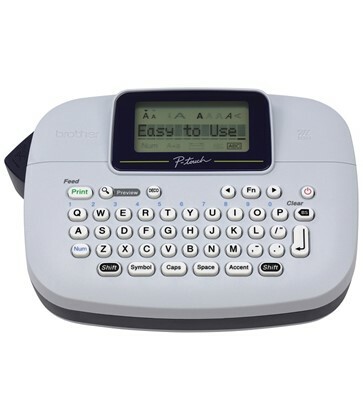 you will love this label maker for its easy-to-use features. And it also include a handy Deco Mode, making it perfect for labels that require a little extra imagination. See the manufacturers web site Brother P-Touch PTM95 for more information.